One-third of the way through a 10-year plan to fix crumbling roads and worst-in-the-nation bridges, is RhodeWorks working? 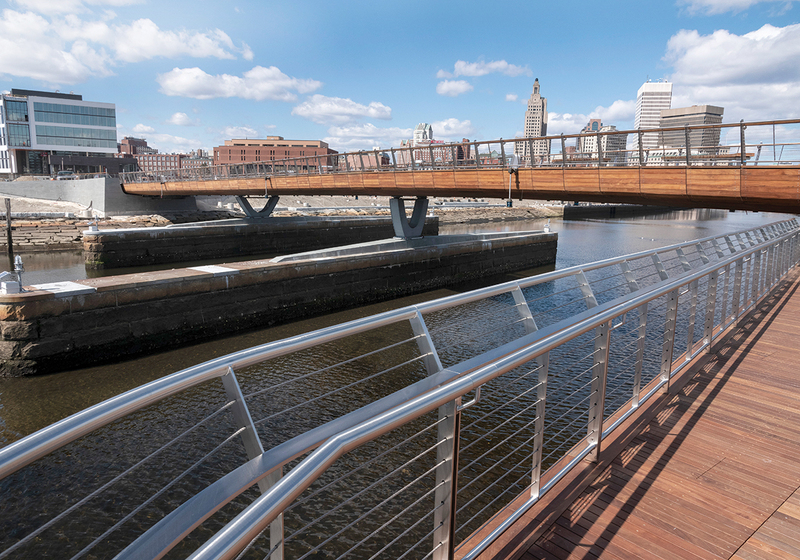 PEDESTRIAN BRIDGE: The Providence River Pedestrian Bridge is a nearly $22 million project that predates Gov. Gina M. Raimondo’s administration, and which is nearing completion. It is the 11th-largest project among the 77 active construction projects being handled by the R.I. Department of Transportation.